1/23/2016 3:54:11 PM Notify NYC – Notification Notification issued 1/23/16 at 3:55 PM. Due to severe weather conditions, bus carriers operating out of the Port Authority New York – New Jersey will be suspending service at 3:30PM and the Port Authority of New York – New Jersey bus terminal will close at 4:00PM and until further notice. 1/23/2016 3:30:03 PM Notify NYC – FDNY Hydrant Clearance Notification issued 1/23/16 at 3:30 PM. Snow covered fire hydrants are a potentially dangerous condition that may impede fire fighting operations. The FDNY is asking property owners to assist in this urgent need to clear snow from fire hydrants in front of or adjacent to their property. For more information please contact 3-1-1 and for all emergencies contact 9-1-1. 1/23/2016 2:00:05 PM Notify NYC – Mass Transit Disruption Notification issued 1/23/16 at 2:00 PM. Due to inclement weather conditions, the East River Ferry service is suspended until further notice. For more information and updates, please visit http://www.eastriverferry.com/ServiceAlerts/. 1/23/2016 1:15:52 PM Alert – State of Emergency Travel Ban Alert issued 1/23/16 at 1:15 PM. 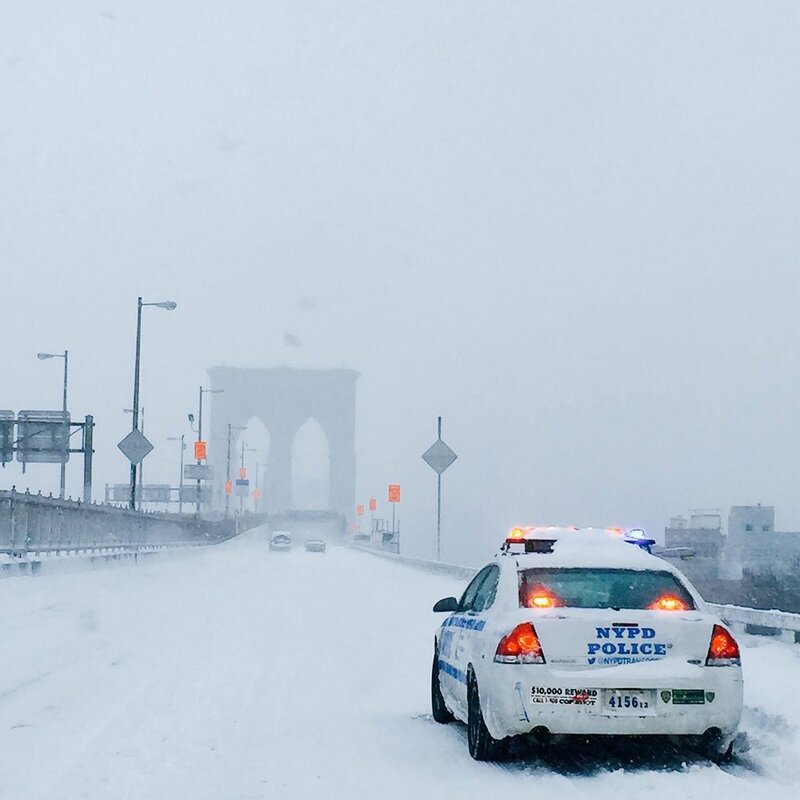 Due to severe winter weather, Mayor De Blasio has issued a State of Emergency for New York City. All non-emergency vehicles must be off all roads in the city by 2:30 PM, and until further notice. 1/23/2016 12:55:08 PM Notify NYC – Mass Transit Disruption Notification issued 1/23/16 at 12:55 PM. Due to inclement weather conditions, all Long Island Rail Road service, Metro-North Railroad service, and elevated subway lines are suspended effective as of 4:00 PM. For additional information, go to: http://alert.mta.info/. 1/23/2016 11:50:11 AM Notify NYC – Mass Transit Disruption Notification issued 1/23/16 at 11:50 AM. Due to inclement weather conditions, the Rockaway Park Shuttle service in Queens is suspended until further notice. Consider alternate routes and allow for additional travel time. 1/23/2016 11:26:03 AM Notify NYC – Alternate Side Parking Suspension Notification issued 1/23/16 at 11:27 AM. The New York City Department of Transportation, in conjunction with the Department of Sanitation, today announced that Alternate Side Parking Regulations will be suspended Monday, January 25, 2016 to facilitate snow removal. Payment at parking meters will remain in effect throughout the City. For more information, please visit http://on.nyc.gov/1cAl5rj. To view this message in American Sign Language (ASL) with audio and subtitles, please visit: http://www.youtube.com/watch?v=G4YXMLzpUII. 1/23/2016 10:39:49 AM Notify NYC – Mass Transit Disruption Notification issued 1/23/16 at 10:40 AM. Due to severe weather conditions, there will be no MTA bus and Access – A – Ride service effective at 12:00 PM and until further notice. See http://www.mta.info for details. 1/23/2016 8:47:38 AM Notify NYC – Road Closure – Planned Notification issued 1/23/16 at 8:48 AM. Due to disabled vehicles, expect traffic delays on Long Island Expressway westbound at Maurice Avenue in Queens. Use caution when driving and allow for additional travel time, as roads will be dangerous due to the weather conditions. Mayor Bill de Blasio declares state of emergency under “Emergency Executive Order 90″ !